I had to fill out my brackets Monday, so naturally I called my dad in Southern Illinois, because, you know, he taught me how to shoot a basketball (still not good at that, Dad) and I had already grilled my grandmother a day earlier. 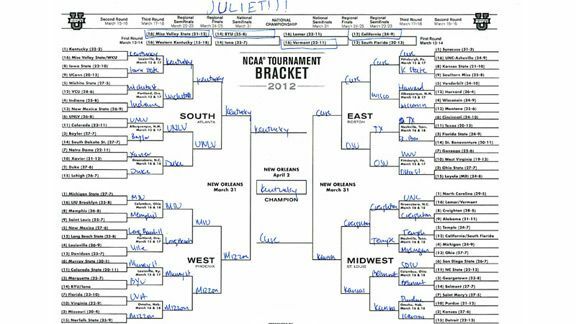 I think she likes St. Louis University, at least in the first round. My dad, an Illinois fan, is out on Rick Pitino Louisville, seems very pro-Murray State (he says Murray gives in-state tuition for students from Southern Illinois. Is this true? 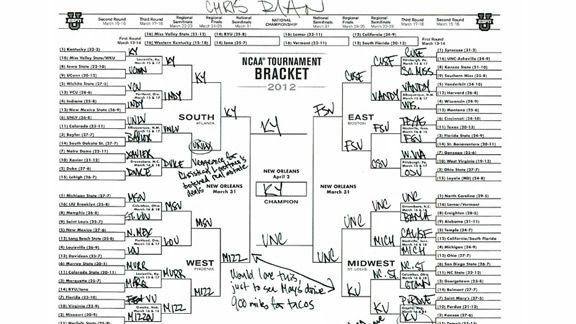 Someone tell me this is true), and described Wichita State as “motivated.” He also had this to say about Wisconsin’s first-round opponent: “I did see a Montana game one time.” OK then! So there you go. A little free March Madness guidance from Mr. Larimer. 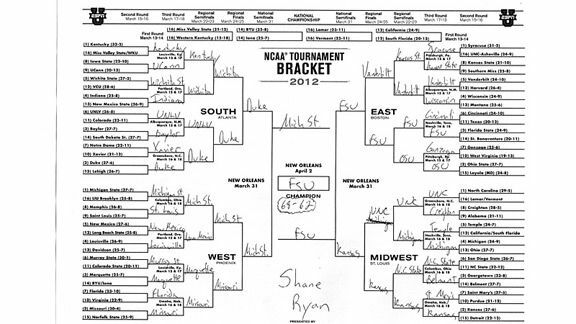 If that’s not enough, you’ll also find the brackets from other Grantland editors and staffers below. 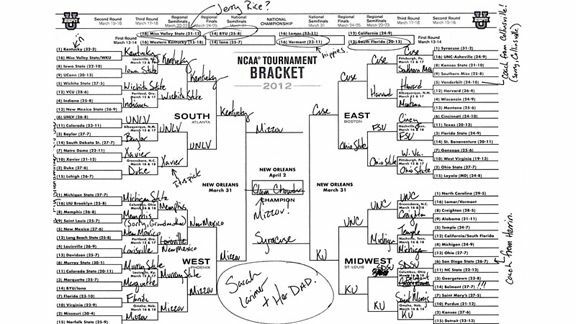 I sincerely hope you win your office pool this year, but only if you’ve picked Mizzou to win it all.